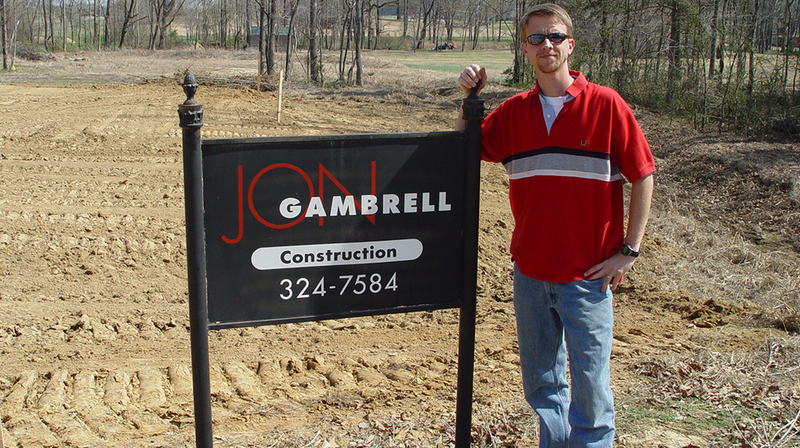 Jon Gambrell Construction was incorporated in 2001 to serve the construction needs of the Mid-South. However, the service behind the name has a much longer history. Jon Gambrell began his career in construction in 1987, working as a trim carpenter’s apprentice in new homes. After gaining several years of experience and valuable training from some of the best in the business, he hired his own crew of trim carpenters. Their quality quickly set them apart, and together they trimmed homes throughout the greater Memphis area. Jon and his crews also traveled out of town at the request of some clients to complete special jobs. Their attention to quality and detail on each job quickly led to other opportunities by referral. With satisfied customers as his only advertisement, Jon soon began making a transition from trim carpentry to overall construction. It was not long until he became well known for his ability to construct a quality product in a timely manner. Building custom homes, remodeling existing homes, and adding grand additions has been the specialty of the company for many years. The same qualities which provided success in the residential market have led to several commercial projects. Jon and his crews work throughout the area, including East Memphis, Chickasaw Gardens, Germantown and other portions of Shelby and Fayette Counties. Excellent customer satisfaction and referrals have led to the booking of jobs far in advance to secure the company’s services. Although the demand for work can be great, Jon limits his work load to ensure that he can give each job the attention to detail and customer contact that it deserves. It is only because of God's grace and blessings that Jon Gambrell Construction, Inc. continues to be sought after to serve families and businesses in the greater Memphis area today.